Governor Andrew M. Cuomo today announced that with four to eight inches of snow predicted to coat the New York region, the Metropolitan Transportation Authority is closely monitoring weather forecast. Long Island, NY - November 26, 2014 - Governor Andrew M. Cuomo today announced that with four to eight inches of snow predicted to coat the New York region, the Metropolitan Transportation Authority is closely monitoring weather forecasts and readying its forces to keep the region’s network of subways, buses, railroads, bridges, tunnels and paratransit operating in the event of significant snowfall. MTA New York City Transit has been hard at work preparing an impressive fleet of snow and ice-fighting equipment to be deployed in order to keep hundreds of miles of outdoor track and third rail clear of snow and ice and prevent bus passengers from being stranded. The 2014-2015 weather plan has been updated to include new snow-fighting equipment for the Department of Buses; new improved cold-weather and communications equipment; increased planning and collaboration with the Department of Sanitation; and more alerts and checks on service for quicker and more proactive operations planning. • Winterization of signal equipment, to protect nearly 220 miles of tracks that run outdoors. They include the Rockaway A Subway Line IconS Subway Line Icon, Sea Beach N Subway Line Icon, Brighton [B]Q Subway Line Icon and Dyre Av 5 Subway Line Icon lines. • Coordination with the Department of Sanitation to ensure adequate supplies of deicing products such as salt and rock salt, including building up strategic reserves that can be adjusted as needed. The LIRR will operate nine extra afternoon eastbound trains from Penn Station between 1:46 p.m. and 4:06 p.m. to handle the expected holiday rush. Station waiting rooms will remain open throughotu the night on Wednesday, resuming normal waiting room hours on Thursday. To combat forecasted weather conditions, the LIRR is activating switch heaters at 5 a.m. on Wednesday to ensure that switches remain operable in case of ice accumulations. The railroad will have crews at the ready to remove snow and ice from platforms from Wednesday night into Thursday. The LIRR’s snow fighting equipment is winterized, tested and positioned strategically throughout the system to start operation as soon as snow accumulations begin. The fleet consists of nine jet snow blowers, three cold-air snow blowers and two double-ended snow broom/thrower machines. Diesel locomotives will be positioned to stand by at key loations in the event that any train becomes disabled and needs to be towed. The railroad is ready to deploy third rail scraper shoes that have been readied and pre-positioned on designated electric trains, and the railroad has two third-rail deicer trains that will be on standby and be ready to be deployed. Metro-North is operating 22 extra trains departing from Grand Central Terminal between 1 and 4 p.m. The trains are noted in current timetables and will be included in the Metro-North Train Time app. The railroad is preparing an all-hands-on-deck event with more than 100 track workers who will be on hand starting Wednesday at 5 p.m. to perform platform clearing and shoveling out interlockings and switches from Wednesday into Thursday, and chain saw gangs who will clear any trees that could fall across the tracks. Concern about falling trees is greatest on the Harlem Line. If snow becomes heavy overnight, Metro-North will operate patrol trains to keep the tracks clear. The railroad has dozens of snow blowers, plows, and on-rail equipment including jet-engine blowers. We also use lo-tech items like hair dryers and brooms. All switch heaters were tested last Friday and were verified to be working, and to combat snow buildup at switches, the railroad has cold-air blowers available. Metro-North has reminded its parking contractor to keep parking lots clear. MTA Bridges and Tunnels has 98 pieces of snow-fighting equipment and 9,180 tons of roadway deicer on hand. All drains on agency property and those that are just off-property and prone to flooding have been checked and cleared of debris. For our Access-A-Ride paratransit service, we have developed a dashboard storm monitoring system to track immobilized vehicles and customers. NYCT has also coordinated a procedure with OEM and City first-responders for rescuing customers on immobilized vehicles or those who develop medical needs during storms. Also in place is a paratransit-specific Storm Action Plan that includes processes for curtailing all non-medically essential service. 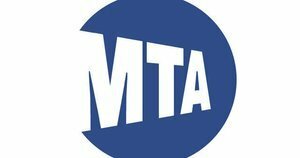 The MTA partners with New York State DOT to provide current service information for all MTA agencies by telephone using 511. The 511 system provides customers with one easy-to-remember phone number to access all MTA transportation information. In addition, the MTA now has protocols in place for providing 311 with service status updates and alternative transportation options; enabling 311 and 911 to direct MTA service inquiries to the appropriate MTA communication channels; and enabling the MTA to track MTA-related 311 and 911 complaints during storms and other significant operating events. For immediate notice of service changes, sign up for email or text alerts here. For weekend subway service changes, visit this website. Subject: LongIsland.com - Your Name sent you Article details of "Governor Cuomo Announces MTA Preparations for Possible Winter Storms"